Well, this is it: The last company review in my five-part series on product-focused, home-based business opportunities. Have I saved the best for last with Melaleuca? I’ll let you be the judge of that. The first four companies I looked at—Younique, Scentsy, LuLaRoe, and doTERRA—all rely on distributors who purchase and resell their products. That’s the hallmark of multi-level marketing. Melaleuca, however, has no distributors. It’s just an online store. I was kind of surprised when I found that out. It turns out that the only way customers can purchase Melaleuca products is directly from the company. That begs the question: If Melaleuca doesn’t use the MLM model, how can it be a home-based business opportunity? The answer is actually quite simple. Melaleuca relies on word-of-mouth referrals to market its products. 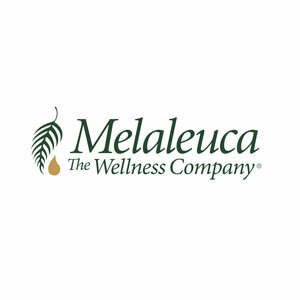 When a customer shops online at Melaleuca, a percentage of their purchase is paid as a commission to whoever referred them. Founded over 30 years ago, Melaleuca manufactures and sells almost 500 products from toothpaste and lotion to vitamins and sports nutrition items. That’s what really caught my attention, is just how many products Melaleuca offers. And these are products people use every day, like dish soap and laundry detergent. Not only that, but people seem to really like the products at Melaleuca. The company reached $1 billion in annual sales a few years ago, and it continues to grow every year. It also has a really high rating with the Better Business Bureau, which I think says a lot about how a company is run. Melaleuca has high monthly reorder rate among its customer base. I’m talking really high—like over 95%. When that many customers are buying and using products month after month, it’s no wonder the company is doing so well. We are about two hours away from reaching $2 billion for the first time in our history! Tune in to Facebook live to watch the event. You helped build this company. We would love to have you there when we cross this milestone! So what is it that people like about Melaleuca products? I talked to a girlfriend of mine who has been shopping with Melaleuca for years, and she gave me the lowdown. First, she said, Melaleuca offers so many products that it’s like walking into a Walgreens—except you just stay at home, order the products while wearing your pajamas, and have them delivered to your front door. There’s makeup and cosmetics, lip balm, shampoo and body wash, snack foods and drinks, coffee and tea, essential oils, ibuprofen, supplements, protein powder for athletes…the list just goes on and on. Second, is the price. My friend said she spends what she would shopping for the same items at the grocery store. A lot of online businesses charge an arm and a leg for products that really aren’t that great. And last, she told me, is the quality of the products. Melaleuca is big on going green—which scores point in my book. They use natural, biodegradable ingredients and formulas that are safe for the environment. The products are also safe for families—again, something I refuse to compromise on. They don’t contain any toxic or harsh chemicals that can really be dangerous and unhealthy. Not a single one of Melaleuca’s products require child-proof caps. No safety caps?! I’m sold. Hmm. I think I may need to switch stores.